Lionhead Studios has hinted that it will be releasing a HD remake of the original Fable. The studio – which was set up by veteran games maker Peter Molyneux – also suggested that it may be showing off Fable 4 at this year's E3. Lionhead hinted that it may be preparing to release a HD remake of its original RPG in the near future of the Xbox 360. It released a teaser trailer, which starts with messages from 'fans' asking when the developer is making a HD remake. It ends with an Xbox 360 logo. 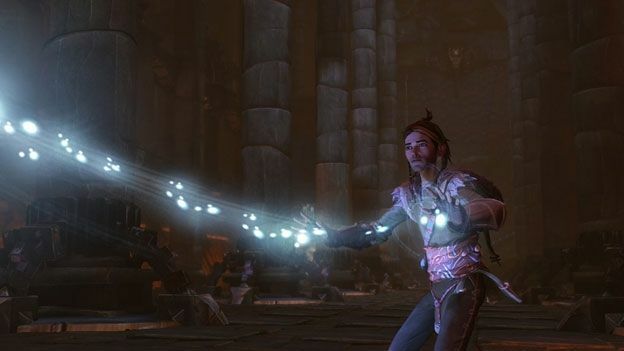 The developer also hinted at Fable 4 with the launch of a new Fable forum on its website. The last game – Fable III – was released two and a half years, suggesting it is unlikely it is for that. The new forum launch also comes less than a week ahead of this year's E3 conference and the ahead of the Xbox One arrive in stores later this year. Expect to see the game officially announced at E3 next week.